A strong team in the men´s freestyle event led by world champion Yowlys Bonne will take Cuba to the 2019 Pan-American Wrestling Championship, which will host Buenos Aires, Argentina, from next April 18-21. Bonne (61 kg) will be one of the seven Cuban athletes that will be present in the continental contest, which will be attended by wrestlers of good level from countries with tradition in that sport such as the United States, Canada and Venezuela. Cuba beat 37-36 United States in the final of the 1st IHF Men's U24 North American and the Caribbean (NAC) Emerging Nations Handball Championship, based in Santo Domingo, the Dominican Republic. 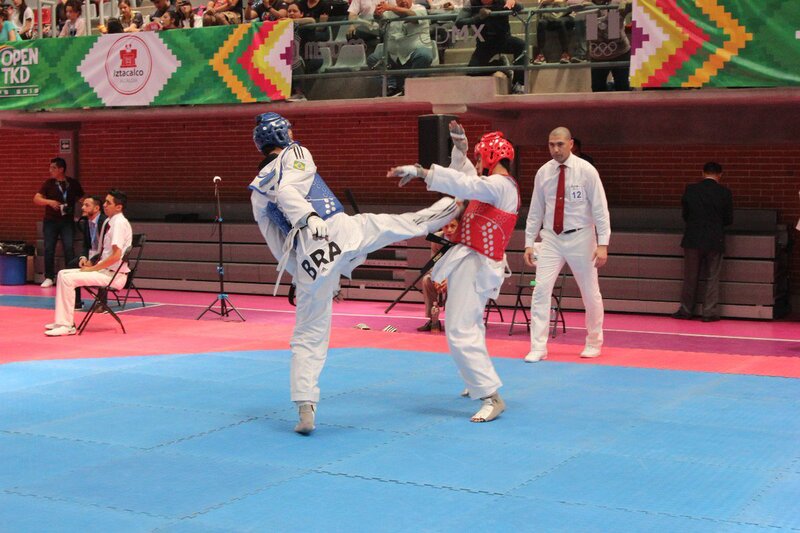 With the titles of Rafael Alba and Jose Angel Cobas, along with the silver medal of Glenhis Hernandez, Cuba ranked third in the 2019 Mexico Taekwondo Open. The Cuban Baseball Federation (FCB) learned that the United States Government decided to cancel the implementation of the Agreement with the Major League Baseball (MLB) signed 4 months ago. Cubans Arlenis Sierra and Heidy Praderas will race for the Astana Women's Team in the Tour of Flanders, sixth stop of the 2019 UCI World Tour, which next Sunday will be attended by 24 elite squads and will cover 159 km, including 16 mountainous stretches. Two Cubans lost in their debut today on the 2019 IJF Antalya Judo Grand Prix, in Turkey, which awards points for the world ranking and is attended by 485 athletes from 75 countries. The Cuban Baseball Federation (FCB by its Spanish acronym) announced a list of 34 players under the category of amateurs, so that they can sign contracts with Major League Baseball (MLB) clubs, according to the historic agreement reached last year by both parties. Cubans Arlenis Sierra and Heidy Praderas will compete again today for the Astana Women's Team in Belgium, in the 2019 Dwars door Vlaanderen (Across Flanders), a semi-classic road bicycle race covering 108 kilometers and to be attended by 25 squads. Cuban triple jumper Jordan Diaz received yesterday in this city the prize as best junior athlete of last year of the North American, Central American and Caribbean Athletics Association (NACAC). The favorite Cuban team will depart today for Managua, capital of Nicaragua, to participate in the 2019 Pan-Am Games Boxing Qualifiers. Cuban Arlenis Sierra, captain of the Astana Women's Team, finished 14th in the Gent-Wevelgem, in Belgium, classic race of the 2019 UCI Women´s World Tour, attended by universal elite 24 squads. Ivan Silva (90 kilos) earned the title of the 2019 IJF Tbilisi Grand Prix, in Georgia, thus placing Cuba fifth in the medal table of the contest led by France, which accumulated three gold, one silver and three bronze medals. Cubans Anailis Dorvigni (57 kg) and Osniel Solis (66) will debut today at 2019 IJF Tbilisi Grand Prix, in Georgia, on the first day of a contest that brings together 372 judokas from 52 countries.